The heart of the airport is the vast movement area extending before and including the runway, along the taxiways and onto the apron. New aircraft models, increased aircraft operations, operations in lower visibilities and technological advances in airport equipment combined make the ground environment at an airport one of the most challenging phase of a flight. When darkness falls, a striking feature involves the hundreds, sometimes thousands of lights, that are used to guide and control aircraft movements. In contrast to flight, where guidance and control are done through radio aids, movements on the ground are primarily guided and controlled through visual aids. Annex 14, Volume I, defines in detail numerous systems for use under various types of meteorological conditions and other circumstances. Since the publication of Annex 14 in 1951, the requirements for visual aids at airports have evolved through fifty- three amendments to the Annex. Since these visual aids must be obvious to pilots from around the world, standardization of their location and light characteristics is highly important. Recent advances in lighting technology have led to great increases in the intensity of lights including the use of energy-saving light emitting diodes (LEDs). Modern high-intensity lights are effective for both day and night operations and, in some day conditions, simple markings may be highly effective. Airport signs are another type of visual aids. At large airports and airports with heavy traffic, it is important that guidance is provided to pilots to permit them to find their way about the movement area. In addition to existing ICAO provisions that address the integrated use of visual aids to help prevent runway incursions, a recent amendment to Annex 14, Volume I introduced new provisions for, among others, the use of stop bars. Stop bars are a series of unidirectional red lights embedded in the pavement at right angles to the taxiway centre line, at the associated runway holding position. They are intended to provide additional protection of runway/taxiway intersections and reduce runway incursions. In recent years, an autonomous runway incursion warning system (ARIWS) has been introduced at airports in some States for the purpose of further improving safety and preventing runway incursions. The operation of an ARIWS is based upon a surveillance system which monitors the actual situation on a runway and automatically returns this information to warning lights at the runway (take-off) thresholds and entrances. When an aircraft is departing from a runway (rolling) or arriving at a runway (short final), red warning lights at the entrances will illuminate, indicating that it is unsafe to enter or cross the runway. 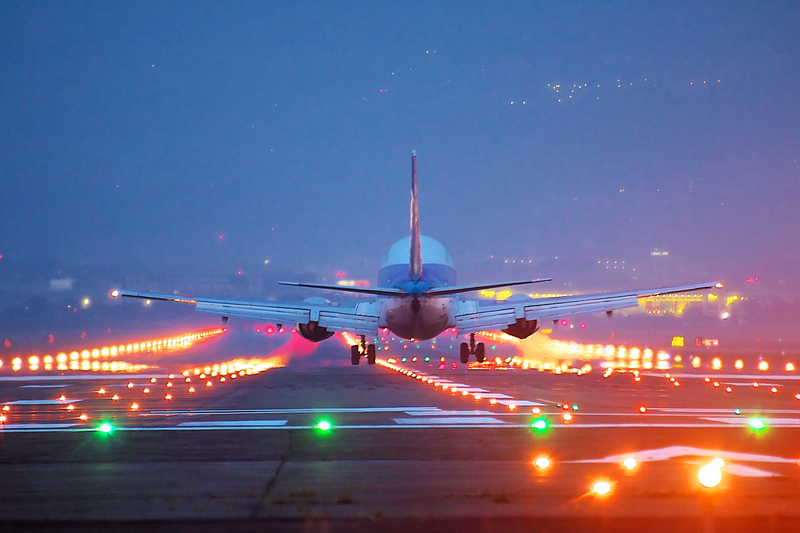 When an aircraft is aligned on the runway for take-off and another aircraft or vehicle enters or crosses the runway, red warning lights will illuminate at the threshold area, indicating that it is unsafe to start the take-off roll. In comparison to stop bars which are operated by air traffic controllers, ARIWS is automatically controlled, allowing for the reduction of the workload of air traffic controller. Ryo Mizushima is a Technical Officer in the Airport Operations and Infrastructure Section at ICAO. He is a secondee from Narita International Airport Corporation where he has been involved in visual aids since 2002. He possesses a Master’s degree in engineering from the Shibaura Institute of Technology in Tokyo, Japan.